Though somewhat rare and not very often serious, campers and hikers should nonetheless be wary of insect borne diseases. Along with the pleasure of outdoor activity comes the risk of being bitten and infected by a disease carrying bug. And while many of these illnesses are confined to tropical and subtropical climates, the potential for infection still does exist in North America and Europe. Below are a few of the more common and nasty insect borne diseases to watch out for. 1. Lyme Disease. Stemming from the bites of infected ticks, Lyme Disease is one of the more prevalent insect caused diseases in temperate climates. When an infected tick sinks its teeth into you, a bacteria genus called Borrelia enters the body. Early symptoms include a bull’s eye shaped rash, pain in the joints, and fever. Left untreated, Lyme Disease can progress to cause neurological symptoms including depression, loss of muscle control, and even cognitive disability in some. Therefore, tick bites should be treated with caution. When in doubt, see a doctor, as Lyme Disease is treatable. 2. Arboviral Encephalitis. This class of viral illnesses emanates from the bite of infected mosquitoes. Though relatively rare, those infected can experience some pretty serious symptoms. Included are fever, pain associated with bright lights, nausea, and cognitive impairment. Fortunately, disease control methods including mosquito spraying and removal of stagnant water have decreased the occurrence of this set of diseases significantly. 3. Rocky Mountain Spotted Fever. Certain types of ticks, specifically dog ticks and wood ticks, are known to carry this disease in North America. It is a bacterial infection, which can be fatal if left completely untreated. At the infection’s onset, one can expect to feel flu-like symptoms, including nausea, fever, or aches and pains. Treatments are most effective within a few days after infection, so it’s a good idea to visit the doctor if you experience any of these symptoms shortly after an outdoor excursion. 4. West Nile Virus. Though it’s known as its own illness, West Nile Virus is actually a type of Arboviral Encephalitis with the same symptoms and health effects of other illnesses in the category. 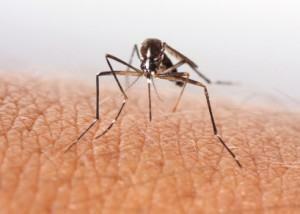 In the early 2000’s, North America experienced a significant scare concerning an outbreak of West Nile. Though the dire predictions of the disease’s spread never came true, the threat of West Nile still exists, especially in the swamplands of the continent’s southern portions. Generally speaking, your odds of contracting a serious insect borne disease are pretty low. Frequent campers and hikers, however, might find themselves more susceptible to exposure. Therefore, a personal policy of caution should be used. Wear your bug spray consistently, check yourself for ticks and mosquito bites, and never hesitate to seek professional care if you’re feeling under the weather after an outdoor trip.